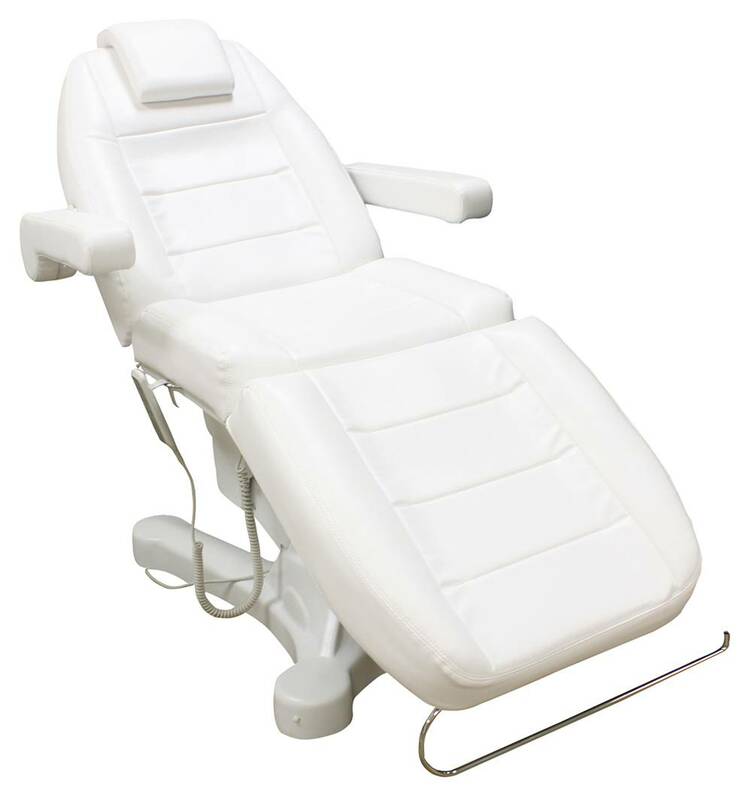 Electric facial bed featuring easy to use controls, adjustable backrest and legrest, sanitary paper holder, and removable and adjustable headrest. 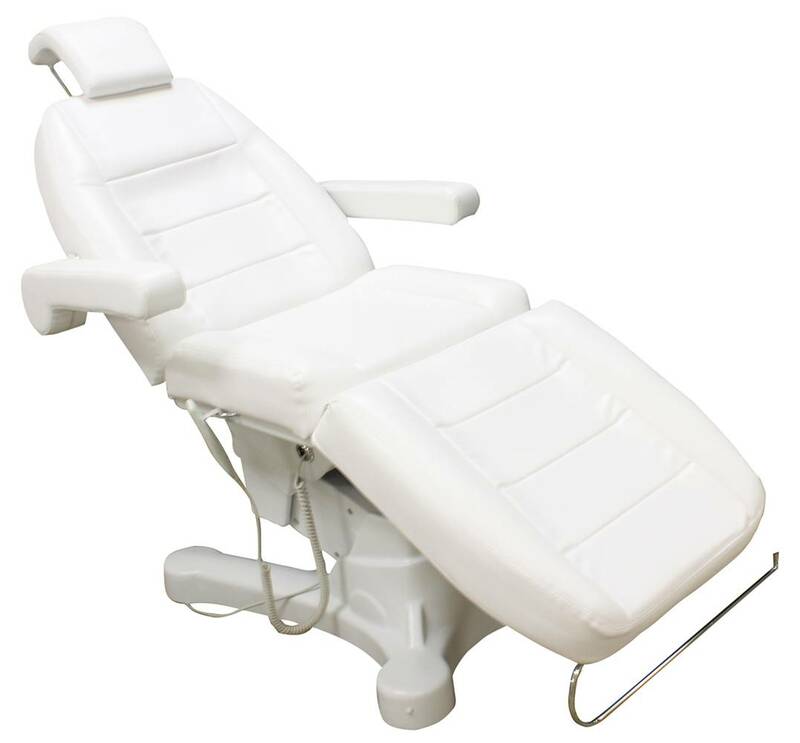 Electric Facial Bed featuring easy to use controls, adjustable backrest and legrest, sanitary paper holder (sanitary paper not included), and removable and adjustable headrest. 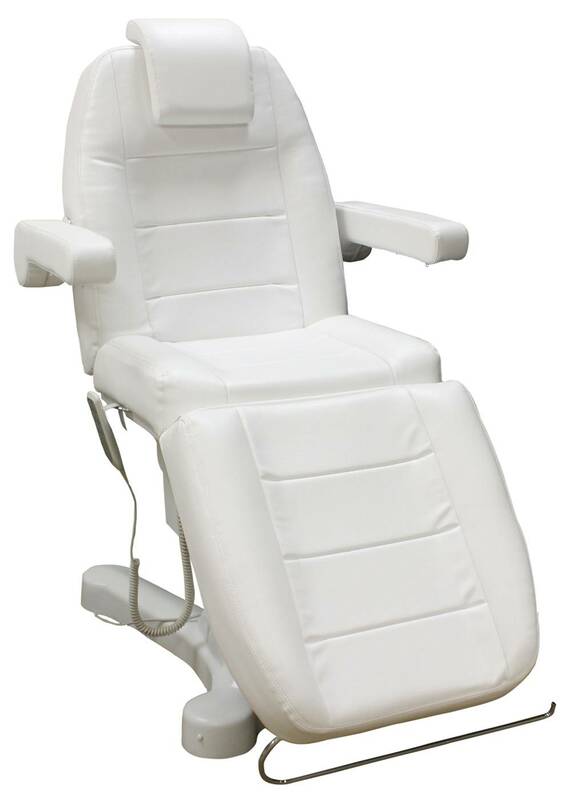 Adjustable height range is from 17-5/8" to 25-1/4". 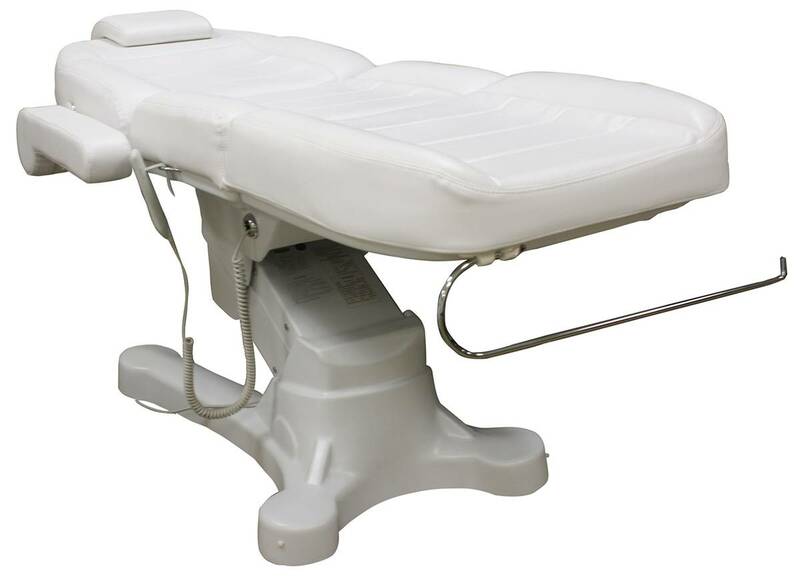 Weight capacity can hold up to approximately 350 lbs.